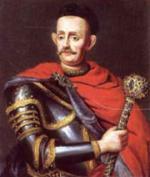 Ivan Mazepa. The intruder into the hearts of all | See you in Ukraine! The name of Mazepa is widely known in the world culture through the immortal art, literature and music of the 18-th and later centuries masters. In the West he has an image of a legendary, almost a fairy-tale figure of a romantic lover and a passionate fighter for freedom. Victor Hugo composed a poem to his honor that had caused quite a ripple among then European literati. Voltaire devoted to him a big part of his essay on Carl XII. And Lord Byron wrote a fantastic poem where he idealized Mazepa as a romantic Prometheus-like hero. The poem touched off an avalanche of paintings by Delacroix, Bulange, Gericault and other world known masters. Poland also saw great literature written and artworks created about Mazepa. Ferenz List used Mazepa theme in his Symphonic poem and Tchaikovsky created an opera of the same name based on poem ‘Poltava’ by Pushkin. Generally, over 20 musical pieces of various composers throughout the world are dedicated to Mazepa theme. Myth and fact combined to shroud this figure in mystery. But don’t you have a single doubt that Mazepa was a real historical figure – an outstanding general, politician, patron of arts and poet. He has been invested with a wide range of qualities and therefore often judged from diametrically opposed views. 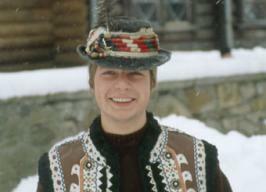 One of the definite facts was that he possessed a rare gift of charming people, both kings and beautiful women. Mykola Kostomarov, Ukrainian born and world renown historian, was right when briefly characterized the Ukrainian hetman’s main trait as “an amazing ability to intrude into the hearts of all. ”Hetman (Ukrainian military leader) Ivan Mazepa who lived in the end of 17-th – early 18-th century occupies a special place in the Ukrainian minds today. The story of Mazepa embraces a broad range of opinions about Ukraine’s history, and its people. As every Ukrainian knows, he is famed for switching sides during Peter I long-running war with Sweden in exchange for a promise of Ukrainian independence. However, only to watch the Russians crush that dream, along with the Swedes, at Poltava Battle in 1709. For nearly three centuries since, Mazepa has been reviled in Russian and later Soviet history books as the ultimate traitor. But now that his own people finally enjoy the freedom he failed to win, he has been rehabilitated. In perhaps the ultimate honor a new nation can give, Ukraine put his face on its currency and named streets of many cities after him. Since quite recently we have had an access to original Ukrainian sources that threw light on events connected with the famous hetman. Still, what we know about Mazepa remains too contradictory and insufficient to fully evaluate his role in the history of Ukraine. But it was he who set an important precedent of how to implement the idea of Ukraine’s presence on the map of European history. Nevertheless, the phenomenon of Mazepa still remains a sort of the ‘unfinished project’ of national history and subject to research and judgment of the future generations.